There’s no freedom of expression on the London Underground…or, at least when it comes to what ads the subway system will display. The NME reports the London Underground have banned promo posters for Lou Reed & Metallica's forthcoming album, “Lulu,” from being displayed in stations. The site reports Transport For London bosses made the decision not to allow the image on tubes, or in stations, after an unnamed “spokesperson” claimed it looked too much like graffiti. 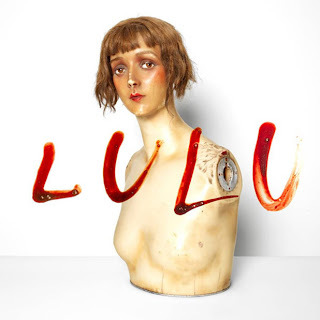 The album cover features a photo of a limbless mannequin with a realistic expression, and the album name written across it. The LU’s decision not to accept the ad revenue for the album will actually help further promote the release, as word spreads worldwide on this story. “Lulu” comes out October 31 everywhere except North America, where it’ll be available November 1.